There will be No Pre-Registration for Programs, instead Registration for Bridgeview residents only will begin 30 minutes before the start of each program and event. Non-residents will be allowed to register 15 minutes before program. For example Toddler Playdate at 11am on Wednesday mornings, there are 20 spaces available for this program. At 10:30am, the sign up sheet will be placed on the Youth Services reference desk for Bridgeiew Patrons to sign up. At 10:45am - if spaces are left, sign up is open to non Bridgeview patrons. Once all 20 spaces are filled the program is closed. Program admittance will close 10 minutes after the start of the program. * Bridgeview Residents will be allowed 15 minutes to register before Non-residents - *First come - First serve. * Please be advised that space is limited and a maximum capacity has been set for each program. Program materials will be prepared to accomodate the maximum amount of participants for each program, there will be no extra space. *Programs require that participants be within a certain age range, these guidelines are used to ensure a pleasant experience for all participants. Age requirements will be enforced, thank you for your understanding. If a program is for all ages it will be stated in the brochure or on the website. All families enrolled in school districts 109, 117, and 122 are invited to attend programs. Please stop in the library today for Brochures and Calendars at the Children's Desk. Sign-up begins 30 minutes before start of program. PLEASE BE ADVISED if you are more than 10 minutes late for a program or event you may not be able to participate. Please see a Youth Services Associate at the Youth Reference desk for any questions. The Youth Services Department strives to offer quality programs to the children and families of Bridgeview. Literacy based activities and programs are offered for all ages at no charge. Please check out the calendar link on the library's home page or pick up a brochure and calendar at the Children's Desk. Go to PROGRAMS TAB for more information! The kids-only learning tablet is here! 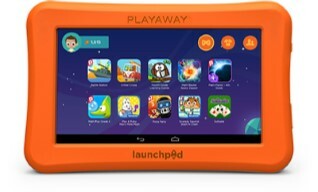 Playaway Launchpad is the first-ever secure, pre-loaded learning tablet for libraries and schools that both kids and adults will love. Launchpad tablets are fun to explore, durable enough for little explorers, and loaded with interactive learning apps and games. Launchpads are available to check out for 7 days - There is NO CHARGE! No automatic renewal, in house only. $1.00 per day late fee. 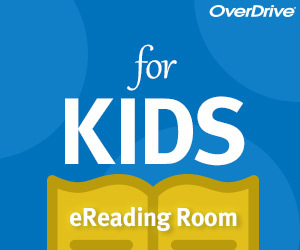 Playaway® Bookpacks bring together the simplicity of our all-in-one audiobooks and their print versions to deliver a fun and educational read-along experience to children of all ages. 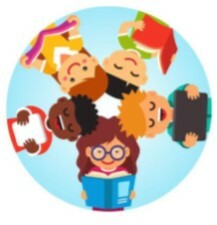 Playaway Books loan period is 3 weeks with option to renew 1 time. New to Media on Demand, just for KIDS! This site only includes content with juvenile subjects; other subjects are not discoverable from this site. Juvenile content will also continue to be accessible from the existing Media on Demand site. Click the picture above to try it out!